Switzerland’s Swiss Lotto is giving lotteries of similar scope a run for their money. For starters, it’s easy to learn and the odds are pretty favorable. Meanwhile, jackpots start at a minimum of CHF1 million, while rollovers aren’t capped. More than that, the optional Joker game gives you a chance to win more money. Sounds intriguing, right? Join me as I take a closer look! Launched in 1970 by SwissLos and Loterie Romande, Swiss Lotto has been one of Switzerland’s most popular games for a very long time. Originally, the game utilized a 6/40 format, but the format has undergone several changes over the years. On April 1986, for instance, the game was changed to a 6/45 format, while the optional Joker game was added to the mix two years later. On January 1997, the game transformed into a bi-weekly lottery—with draws now taking place on Wednesdays and Saturdays. Finally, it was back in 2013 when the current format of the game was introduced. Big Jackpots: While not in the same league as lotteries like Mega Millions, Swiss Lotto still offers impressive jackpots. Plus, this is a rollover lottery so you can expect bigger prizes when no one wins a draw. Eight Ways to Win: Swiss Lotto offers a total of eight prize tiers you can win in—where the lowest requirement for winning is matching only three of your numbers. Additional Ways to Win: Swiss Lotto also offers two other ways to play: the Joker and the rePLAY. The former gives you the chances to win more money, while the latter gives you the chance to win a free entry. Relatively Good Odds: Compared to lotteries of similar scope, such as Germany’s Lotto 6aus49, Swiss Lotto’s odds are relatively favorable. Pays Out in Cash: All prizes are paid out in lump sum form. Prizes are Taxable: Prizes above CHF1,000 are subject to a 35% tax withholding. How Does Swiss Lotto Work? Swiss Lotto utilizes a 6/42 + 1/6 format, which means you must choose six main numbers from a possible guess range of 1 to 42, plus an additional number from a guess range of 1 to 6. To win the top prize, you must match all six main numbers, as well as the additional number. There is a total of eight prize tiers, with the lowest tier requiring only three numbers matched to be won. Meanwhile, if no one wins the main jackpot in a draw, it will simply carry over to the next drawing. 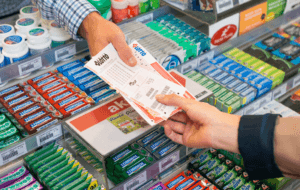 Unlike some lotteries, Swiss Lotto does not have a rollover cap—which means jackpots can keep on growing until somebody wins. Even better, the smallest jackpot you can here is a cool CHF1,500,000. Swiss Lotto also gives you the option to activate the Joker—a separate six-digit number that allow you to win additional prizes. It works like this: players must match at least 2 consecutive numbers—ordered left to right—to win. If you match all six digits, however, you will win a separate jackpot worth several millions. Another additional game is the rePLAY. Unlike the Joker, the rePLAY is free and is played automatically. On every ticket, you will find a single-digit number (from a selection range of 1 to 13)—this is your rePLAY number. If you match the number drawn, then you will win a free Quick Tip entry. All Swiss Lotto prizes are paid out in lump sum form and, for prizes below CHF1,000, are tax-free. For prizes that go beyond this threshold, there is a 35% income tax deduction. Of course, if you live in another country, your local tax laws, if any, will apply as well—which means you might be facing twice the deductions. Smaller prizes (CHF1,000 & below) can be claimed at several outlets throughout Switzerland, while larger winnings are claimed through a different process (with your winning deposited to your bank of choice). Unlike other lotteries that give a hundred or so days to claim prizes, Swiss Lotto only gives players a total of 26 weeks. It is one of the oldest lotteries around, having been in the industry for more than three decades. Swiss Lotto has helped fund thousands of projects across various areas, like sports, culture, environment, and more. Swiss Lotto has produced more than 600 millionaires over the years. In 2016 alone, over 22 players won millions. Get your Swiss Lotto tickets now–YOU could very well be the next millionaire. Swiss Lotto is Switzerland’s most popular—and enduring—game for a reason. It’s a simple game that offers good odds and various ways to win. More than that, jackpots for this game can grow into impressive sums thanks to rollovers—and even if rollovers didn’t occur, you’re still looking at a minimum guaranteed jackpot of CHF1,000,000. The only thing that may discourage you from joining this lottery is the hefty 35% income tax deduction at the source for winnings over CHF1,000. Other than that, Swiss Lotto is definitely a lottery that should be on your radar.